First off Happy Halloween! Hope you have a fun costume and are celebrating tonight! 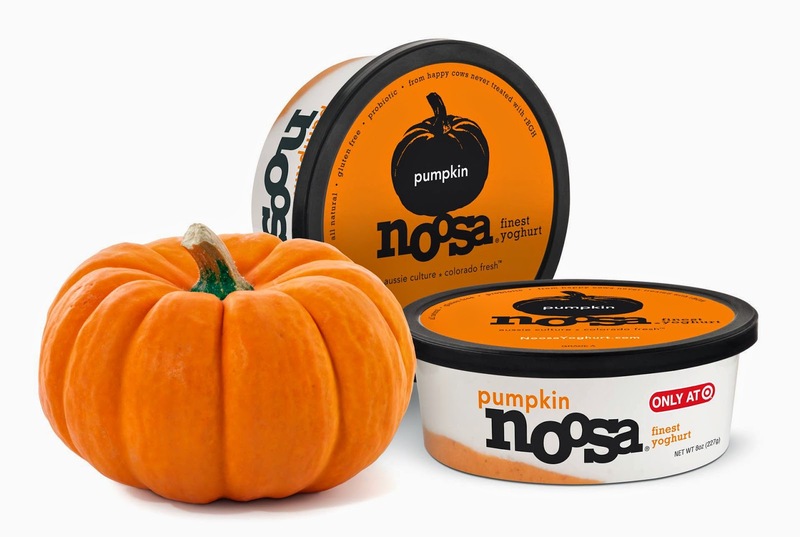 At Target I spotted Noosa yogurt in Pumpkin flavor and had to try it! Lucky me it’s only sold at Target! Noosa is an Aussie style yogurt which is similar to rich Greek yogurt. It’s made in Colorado from milk free of artificial growth hormones (rBGH) and artificial preservatives from outdoor cows that eat grain and alfalfa grown without pesticides. Eating organic yogurt free of artificial sugar (splenda) has always been really important to me. Their pumpkin flavor is absolutely divine, it was incredibly delicious!! I split the container into two servings so it’s better calorie wise. Definitely make sure to get your hands on one, you won’t regret it! 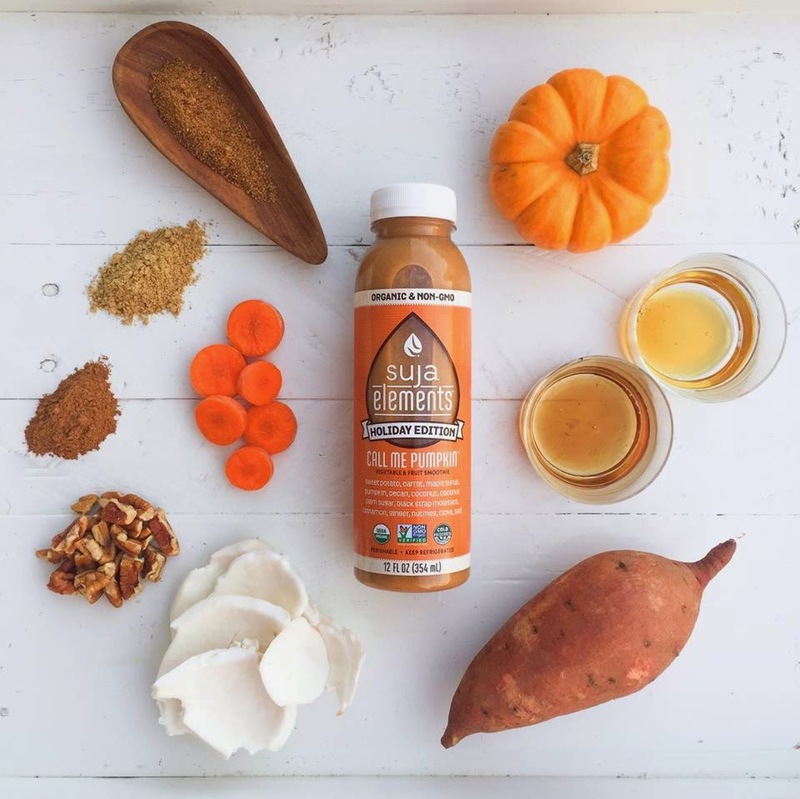 At Whole Foods I spotted Suja’s seasonal pumpkin smoothie. Now I’m a big fan of Suja’s vegetable juices so I was excited to try this. It’s made of sweet potato, carrot, maple syrup, pumpkin, pecans, coconut, coconut palm sugar, black strap molasses, and spices. Sounds good right? Well let me tell you, it’s no pumpkin pie in a bottle. Even though it has sugar in its ingredients, it’s not sweet at all. The flavor just fell flat to me. I’d skip this.